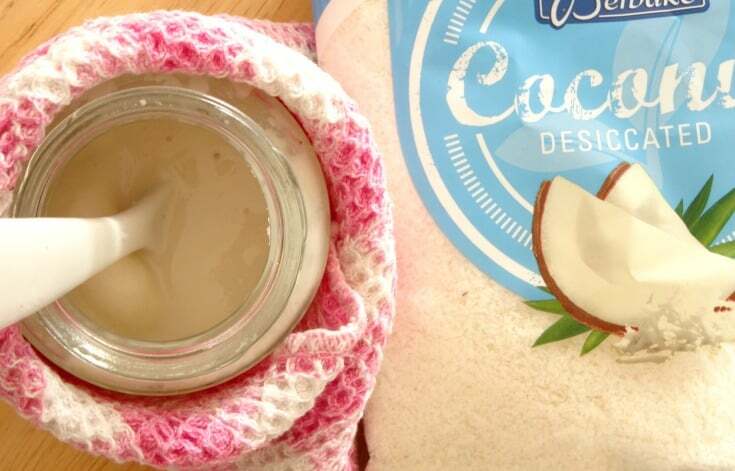 Did you know there’s a difference between coconut butter and coconut oil? It’s a pretty big one, too. Coconut butter is made from the whole white flesh of the coconut, which means it’s packed full of vitamins, minerals and fibre. 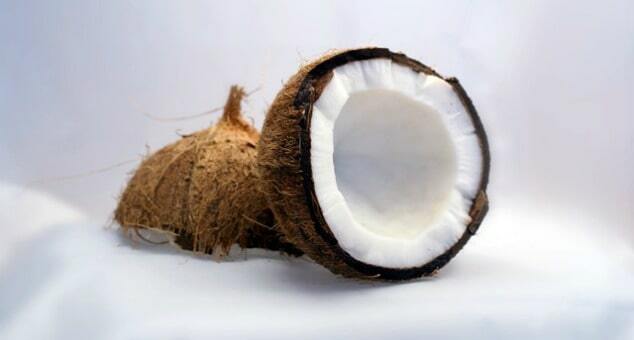 Coconut oil doesn’t use the whole white flesh of the coconut – it’s simply strained from it – which means it contains fewer vitamins, minerals and fibre. So when it comes to health and nutrition, it’s coconut butter all the way! Coconut butter costs a small fortune in supermarkets (I sound so frugal right now!!) but making your own costs hardly anything. 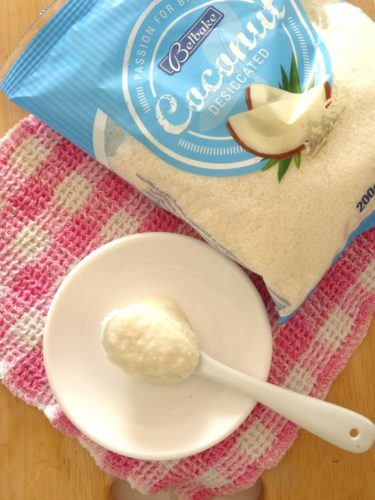 A 200g/7oz bag of shredded coconut costs me just €1.70/$1.90/£1.40 and can be used to make 1/2 a cup of coconut butter – how’s that for some serious savings?! Plus, by making homemade coconut butter, you know exactly what’s going into it and if you use my recipe, that’s going to be one thing and one thing only – shredded coconut. That makes this natural coconut butter totally vegan and gluten-free. This natural coconut butter recipe requires just one ingredient and one kitchen appliance. You know it – a Magic Bullet Nutribullet! This magical machine really is my new favourite kitchen appliance and can be used to make all kinds of healthy, natural stuff – from homemade peanut butter to vegan caramel. Seriously – get yourself one!! No exaggeration – this really is the best coconut butter recipe there is. 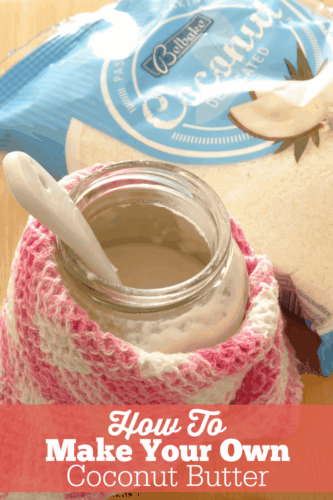 It makes the smoothest, creamiest coconut butter you will have ever had, I swear! My favourite thing to do with it is to eat it by the spoonful directly from the jar, but that’s not the only thing you can do with it. Try heating it up and mixing it with cocoa powder for a healthy chocolate sauce, use it to make a mini chocolate raspberry cake, turn it into healthy fudge or even make body butter with it. Coconut butter uses are practically endless! Place the shredded coconut into the large container of your Magic Bullet Nutribullet with the extractor blade attached. Process for a few seconds until the motor's noise changes and the shredded coconut stops being ground down. Unscrew the extractor blade and use a rubber spatula to scrape down the insides to un-stick the shredded coconut. Repeat the previous few steps as many times as necessary until the shredded coconut takes on a butter-like texture. You need to stop the Nutribullet and scrape down the insides with a spatula every time you notice a distinct change in the motor's tone so that you don't damage it. Scoop the homemade coconut butter into a sterilised jar and store at room temperature for a butter-like consistency. If you store this in the fridge, it the coconut butter will be hard and you won't be able to use it.